Apple outraged some customers with their new line of iPhones. Many customers said the new phones are too expensive and sexist against women. Phones in the X line have screens ranging from 5.8 to 6.5 inches, the company’s largest phones yet. A minority of women are slamming the new phones, complaining the device is too big for the average female’s hand. 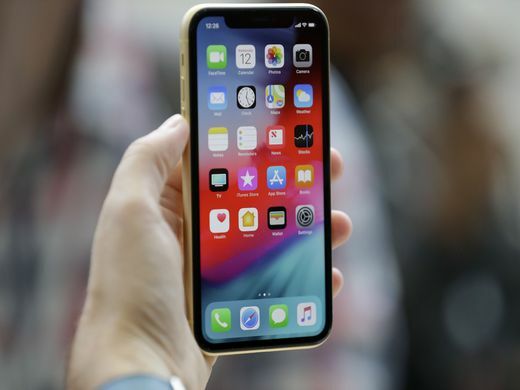 “Women like me with small hands who need the most secure phone for safety reasons are stuck with something they can’t hold and constantly risk dropping,” tweeted Zeynep Tufekci, who writes for the New York Times and teaches sociology at the University of North Carolina at Chapel Hill. It’s not a valid justification. It’s not serious to where it’s deemed “sexist.” The company wants everyone to buy the phone, therefore its convincing they would make the devices usable for all customers. Some people have small hands others don’t, sorry. However, the phones have ridiculous pricing. The iPhone XS released on September 21 starts at $1,099. The iPhone XS Max was a whopping $1,499. Many would not pay for the phone as it would be wasting money, which is very agreeable. Apple definitely tried it with the cost and they don’t seem to be slowing down. That’s someone’s rent. The iPhone XS weighs 174 grams while the X weighs 177 grams. The weights are basically the same size, yet the price difference is drastic. The iPhone XS and XS Max aren’t worth the price, especially since there aren’t major differences from last year’s model. They’re way too similar to the previous iPhones. You’re better off keeping the one you already have, or switching to Samsung.